In Italian, the word Manettino means little lever or little switch and this little lever produces big results behind the wheel. Each mode of the Manettino provides a different driving experience, engaging and utilize different components of the Ferrari powertrain. The red lever, or twistable knob, on the steering wheel of a Ferrari, is what is called the Manettino Switch. It allows drivers to customize their drive depending on road conditions or their driving preferences for the day. It was designed by Frank Stephenson after he was inspired by the functioning knobs on the steering wheel of the Ferrari F1. The first Manettino was installed on the Ferrari 430 in 2004 and has become a popular Ferrari feature across the entire brand lineup. What are the Ferrari Manettino driving modes? The Manettino offers drivers different driving modes for wet or icy roads, sport driving, superior comfort and on the edge driving. Some models feature slightly different settings, including or not including the Race setting, or utilize buttons rather than a rotating lever. All settings still offer the exclusive performance expected from the Ferrari brand. 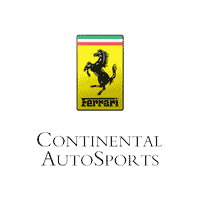 For more information on the Ferrari Manettino and the settings featured in your dream Ferrari, come see our team and showroom at Continental Ferrari. You may schedule an appointment online or stop by our dealership in person anytime during business hours. Already a Ferrari owner? For all of your service needs, check out our Ferrari Service Department. To share your passion for Ferrari with others, come to one of our Ferrari events exclusive to Ferrari owners. 0 comment(s) so far on What is the Ferrari Manettino and what does it do?